AY2019 vacancies are filling fast! 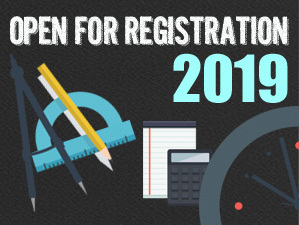 Register yourself TODAY! A space born out of the love and passion for mathematics, with a simple underlying goal: empower, motivate and inspire your child to reach greater heights! We help students all over Singapore break their own records, set new trajectories, and rewrite their future. Every day. (Almost, except Mondays and Tuesdays… ). All over Singapore. Welcome to Benjamin Maths. Today, we’re thrilled to announce open registration for AY2017! Copyright 2014 Benjamin Maths | All Rights Reserved.